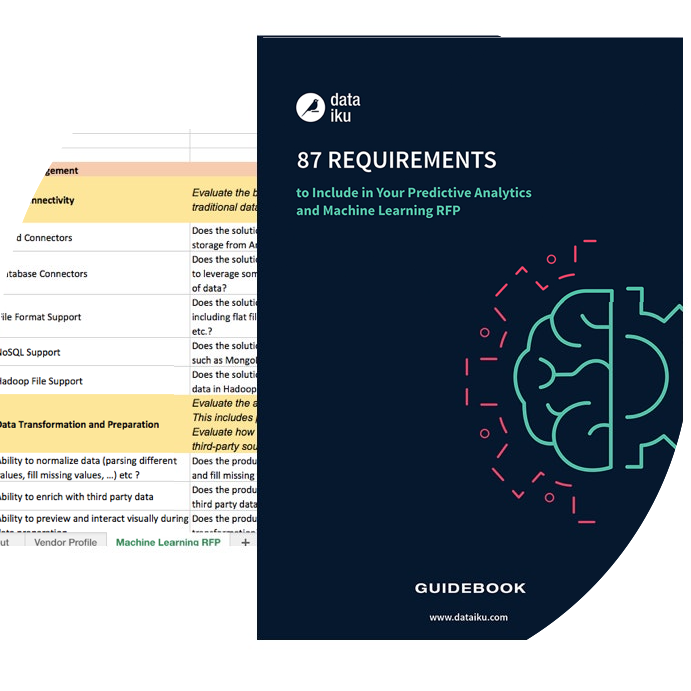 Get a head start on your predictive analytics and machine learning RFP with our free guidebook and RFP template. Make the best decision, for now and for the future. When it comes to choosing a predictive analytics and machine learning platform, the balance you strike between addressing your immediate needs versus anticipating your future requirements will play a big role in creating demonstrable, sustainable value. We have created this data analytics RFP template to save you time and also to suggest some evaluation criteria on versatility and scalability. An extensive Analytics RFP section, with detailed questions that can be customized according to your organization's needs.